Video visits allow you to receive the same quality care as you do in the clinic. Our multi-disciplinary specialties focus on resolving the health issues of our patients. Focused on the individual needs of each and every patient. Providing efficient and effective outpatient procedures from our own freestanding state-of-the-art facility. Offering affordable, safe, and convenient outpatient procedures in a warm and friendly environment. 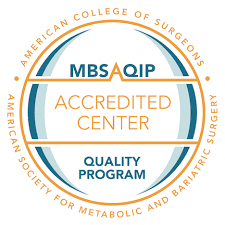 Voted top surgery center in Georgia in the areas of bariatric and acid reflux care, same day surgery and patient satisfaction. Our top-rated physicians are equipped to handle all aspects of acid reflux, heartburn and GERD. We are experts in diagnosis and treatment of acid reflux. Georgia SurgiCare is a surgical group devoted to providing the highest quality healthcare services. Our talented physicians and dedicated team members are committed to serving the ongoing healthcare needs and well-being of our patients, their families and all of the communities we serve. Through our innovative and patient-focused approach, Georgia SurgiCare assures the most appropriate and cost-effective healthcare services are delivered in a caring and compassionate manner. I’ve had 2 procedures at GA SurgiCare, both happened on time, quick and I’m very happy with the end result, care and lowest costs. I had an emergency room visit for one of the issues, what a miserable experience then I managed to get back to SurgiCare. Thank goodness there’s places that actually are efficient and function like SurgiCare. I love Dr Chris!!! Meet our wonderful Nurse Practitioner,Sonji Clarke. Sonji Clarke was born in Barbados and attended North Georgia State University and Western Governor’s College where she graduated with her Bachelor’s degree in 2009. She later graduated from Walden University with a Master’s degree in MSN in 2016. She has worked in the ICU at Grady Hospital and Clearview Regional Medical center, as well as NICU and LTAC at Gwinnett Medical Center. Sonji also worked in Step Down ICU at Dekalb Medical center, and as an RN at Georgia Regional. Before entering the medical field, she completed 16 years as a Payroll Accountant. She is the proud mother of two young men, and hopes to make a difference in this world through caring for her patients. When she is away from work Sonji loves to relax, spend time with her family, travel to new places and experience new cultures. Tubal ligation is a permanent, simple, and highly effective form of birth control, which can make it an attractive option if you're sure you won't want to get pregnant in the future. Earth Day is a great way to switch off from your electronic devices and spend the day out in nature. It's good for your health and the environment. All right- who know what this thing does?